The one thing the downtown area park initiative continues to lack is a linear mobility-park, specific example is Harwood Street from Katy Trail to Old City Park. tamtagon wrote: The one thing the downtown area park initiative continues to lack is a linear mobility-park, specific example is Harwood Street from Katy Trail to Old City Park. I don't expect Parks for Downtown to care about Old City Park or the Katy Trail, but I do hope that once the new downtown parks are done and the master plan needs an update, they address the connective tissue between KWP and Harwood Park. There are some signs that they "get it". Based on their previous interest in what they were calling "bowtie park" on Harwood, Canton, Park Ave and Cadiz maybe that will make the next master plan. It should be obvious by that point that Old City Park needs to connect to the Farmers Market, even if it just means a road diet on Harwood over I-30 that creates a bike-ped promenade of some sort. In fact, that could be done in a couple of years if the city really wanted it. The connection needs to extend all the way to William Blair, Jr (formerly Rochester Park). Over the next 50-100 years, the neighborhoods between the forest and downtown will experience the next great conversion. 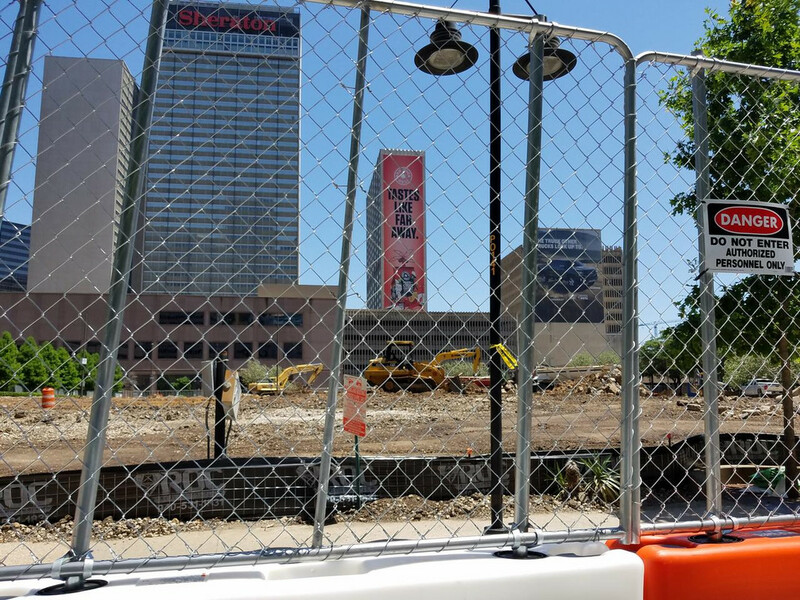 *Construction kicks off this month on Pacific Plaza, downtown Dallas' next major park and the first of four new green spaces planned in the next five years. 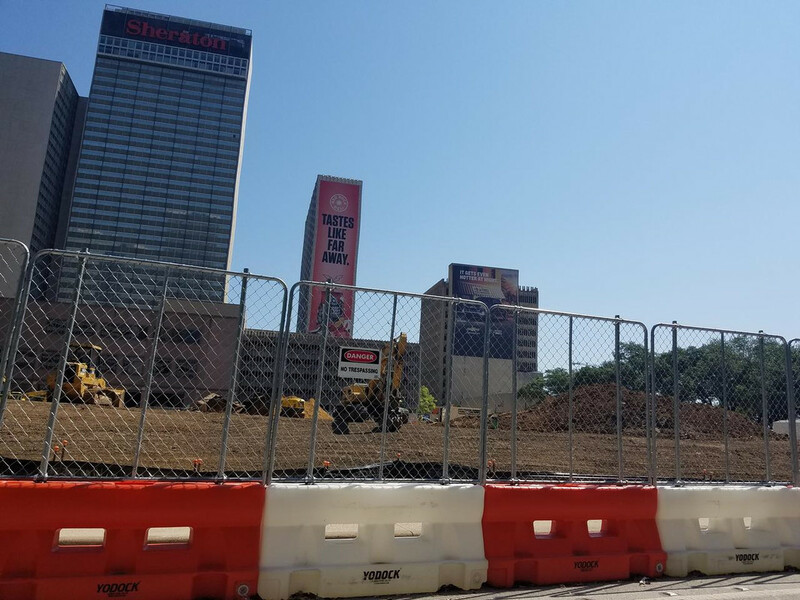 *"We are finally at the launch point," said Robert Decherd, chairman of Parks for Downtown Dallas, which has partnered with the city to build Pacific Plaza. "We are starting a sprint -- four new parks in five years." *Along with Pacific Plaza, Parks for Downtown Dallas is finalizing plans for the 5.6-acre Carpenter Park on the eastern edge of the central business district. And near the Farmers Market, designs are almost complete for the 3.8-acre Harwood Park. *Pacific Plaza, which breaks ground April 17, will take about 18 months to build. Wonderful news. Glad they are sprinting! Good news on the parks, pretty hilarious headline that's obviously attempting to SEO the crap out of the Klyde Warren Park name. Editor: "I need a snappy headline for this article. Three new parks, you say? How big are they?" Steve Brown: "Well, each one is around 4-5 acres, so 15-ish acres total?" Steve Brown: "About half the size of Reverchon Park." Steve Brown: "About the size of the Katy Trail." Editor: "Too similar, I need smaller." Steve Brown: "I mean, it's about three times the size of Klyde Warren Park, but it's also three parks, so it's not that apt of a compari-"
Editor: "DOWNTOWN DALLAS PARK PROJECTS WILL CREATE GREEN SPACE THREE TIMES LARGER THAN KLYDE WARREN"
Yeah, I thought that was a bit of sensationalism for sure. Just good to hear they are pushing forward at a steady pace and not getting stuck on one park project. Sounds like they are able to keep negotiations going on Carpenter, geting construction going on Pacific Park and have already done some demo for Harwood Park. All the while picking out a designer for West End Plaza. exelone31 wrote: Good news on the parks, pretty hilarious headline that's obviously attempting to SEO the crap out of the Klyde Warren Park name. Editor read Steve Brown's article and copied some of Steve's own words for the headline. That picture speaks volumes! I think this park will make a huge impact. I really wish Dallas could work on West End park next, after this one instead of Carpenter Park. The West End is finally starting to show some life. Tourists still go there and the park would make such a more powerful impact on continuing the transition. This is the visual that made it real for me. Permanent closure of Live Oak on 4/22. I agree, imagine West End Plaza opening within a year of the Holocaust Museum and Luminary building. Part of the reason KWP felt like the start of a new era for downtown was that it opened along with the Perot Museum and Margaret Hunt bridge. Good things come in 3. Interesting article/discussion about the function and purpose of parks in downtown Dallas. The D article is pretty interesting, and points out that Belo and Main Street Garden are pretty spare in comparison to Klyde Warren. I think Main Street Garden will see a bit of a renaissance once everything surrounding it is up and running full-steam. I am curious to see how the other parks in that immediate area (Harwood, Pacific, Carpenter) will interact. Will one emerge as the overwhelming option, or will the density be a boon for all? Belo Garden, on the other hand, may not be much more than what it currently is. To improve it, I think it'd be cool to put a large, signature art piece in there. Maybe devise a way to chisel off that "Rock of Truth" quote from the old DMN HQ and put it there. Or, copy the book/newspaper stand idea from Klyde Warren. They make a good point, but they are talking about 2018 Dallas. Pacific Plaza Park won't be completed until late next year, and who knows when the other parks will get built. By then we'll be looking at a city that is continually growing with more foot traffic and more residents. I know a year and a half won't make a huge difference, but in five years time, I don't think the fact that these parks don't have much to do will matter. Maybe nearby residents might prefer these parks as an escape from the overcrowded Klyde Warren. Maybe these parks won't be as much of a destination as Klyde Warren, but there will, hopefully, be enough nearby residents who will utilize the parks, especially in a few years time when they are all done. Damn, this is really going to be pretty. I understand the articles point but I still think the gimmick of Klyde Warren is not something you can just share with other downtown parks. Klyde Warren is located just outside of the homeless barrier for one thing. Its built over a highway which does stick favorably in peoples mind. Its favored by some fairly significant real estate powerhouses that influence its success. The other Downtown Parks are dealing with real issues. Access to residents with different needs than that of Klyde Warren. Not every park can be a destination park and Klyde Warren was built as a landmark project to attract attention far and wide. Main Street Gardens can certainly build a good relationship with the hotels for more events but it honestly was designed for events already. It has two built-in stages and frequently needs lots of work to its lawn because of all the use from those events and neighborhood use keep the lawn looking dead. 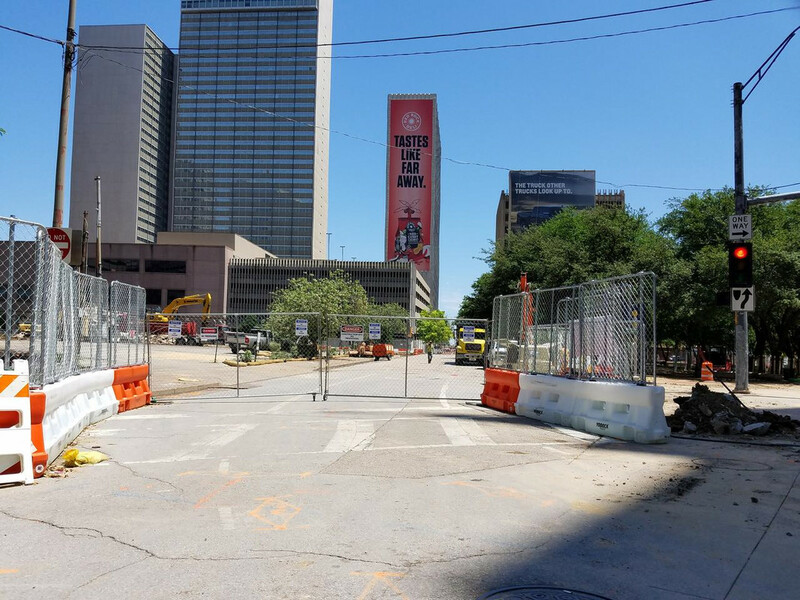 I am curious to what level Downtown Dallas Parks plans to event schedule Pacific Plaza cause it looks like it will also be popular for bigger festivals that Main Street cant handle. I can agree with Belo Gardens though criticisms though. Belo itself messed that one up with their paywall between the Metropolitan and the park. Its design is mostly trying to be some terrible downtown garden park/arboretum rather than something useful for the neighborhood. It definitely seems like a park lost in its own intentions. The good thing is as Downtown evolves these parks can easily go through renovations based on use. There are not parking garages below them restricting how the parks can be reinterpreted. 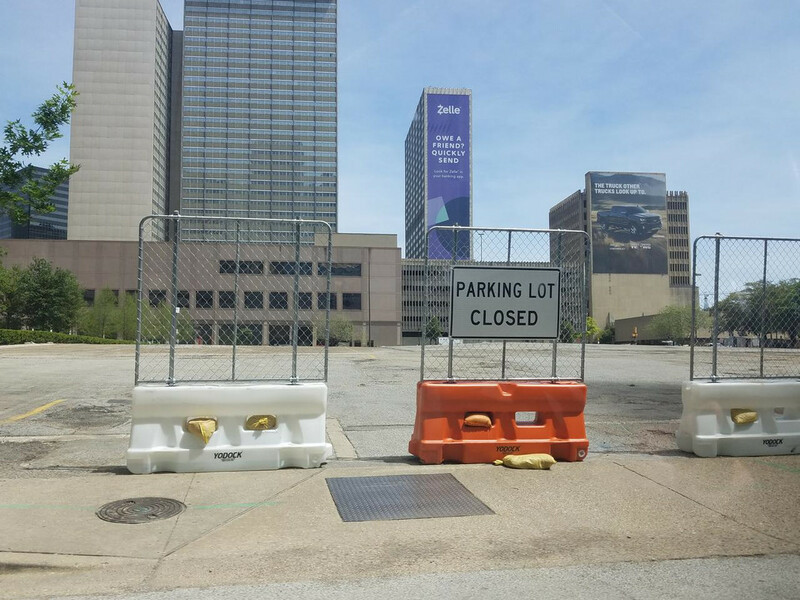 All Downtown Dallas Parks foundation has to do is raise the money and block off a section and make the needed changes if they need to. Carpenter Park will have basketball, skate park, dog park, bocce, kids area, stage, wet area and food trucks. So by the article’s standards, this is very promising. As far as Belo Garden— he’s right. Turn the restaurant pavillion into a multi-use ball court with a place for a couple of food trucks, and the park would be full of users. After reading the article more carefully I think the author counters himself on many accounts but I do read what his intention is. He at least recognizes that Klyde Warren is a destination and shouldn't be the only goal for Downtown parks. I do think athletic access is something worth pursuing but I am not sure that Main Street is the right place for it either. I do agree the green shelters haven't turned out useful and they were intended as art pieces, so very Dallas. The author acknowledges this in some way, Main Street is the first attempt in the new age of Downtown Parks and Belo is the second. Harwood and Carpenter do have the elements he is requesting and I wouldn't mind seeing a unique version of athletic courts integrated into other downtown parks. For example, Harwood will be integrating historical building shells to preserve the historic architecture which creates cool rooms of activity. It would be great to hide a basketball court in such a way with a brick of a historical building. That way it's not some garish basketball court with ugly metal fencing. I am totally on board for using the spaces under the highways for this if possible when it makes sense. I think the author has some romanticism for these inner-city courts though and many residential areas sometimes petition cities to remove athletic facilities depending on how they are masked and lit for night time games so there is a balance. Belo Gardens was always built and funded by Belo to be a garden of quiet respite away from the city etc which I agree is impractical and disjointed from the reality of its location and neighborhood needs. To be real though Main Street and Belo were built with a grandiose expectation of impressing visitors and out of towners with two parks that would endcap a revitalized Main Street District with Pegasus Plaza in the middle. The ideas the author is pushing are more deeply rooted in neighborhood parks that actually live outside the tourism needs and focus on serving localized residents like Cole Park and Reverchon Park do already. I think our biggest battles Downtown will always be impressing visitors and attending to a real Downtown neighborhood. Only in the CBD is this the most pressing because the city of Dallas tries to accommodate both patterns in areas like Main Street. cowboyeagle05 wrote: For example, Harwood will be integrating historical building shells to preserve the historic architecture which creates cool rooms of activity. It would be great to hide a basketball court in such a way with a brick of a historical building. That way it's not some garish basketball court with ugly metal fencing. My understanding of the plans for Harwood Park is that the remaining buildings are to be repurposed for offices, events, a sports pavilion, etc. There won't be any shells or pieces of buildings to display as relics of the past. That's what I mean by preserving history while hiding some functions. I could easily see a brick facade making a basketball court blend with a park better than just some super tall chainlink fencing. Keep it mostly open as a basketball court would be, but using brick facades or something similar can do a lot for making sports courts look less like just a hoop in a parking lot. Progress report. Pacific is closed and traffic is backing up on Pacific near the detour to Elm Street as people are also still being detoured from North St Paul from parking garage construction and are being sent down Harwood to merge with Pacific Street traffic coming off the highway. Too much construction detours through one new bottleneck I would say. Traffic will be re-balance out after the garage on St Paul is done and St Paul is fully functional again. Change is hard for people used to a certain kind of access to roads. There are barricades around the entire Pacific site including the closed street so I can not wait to see real construction start. I have friends living with a view over the park so I will get them to send me progress photos from above when I can. Someone I know who works downtown told me that morning rush hour traffic on Live Oak was really backed up as well. Guess some people didn't get the memo. Most people aren't going to notice until it actually affects them. They reopened two lanes of St Paul as the garage under construction near First Baptist no longer has a crane. I think traffic will take some time to adapt for sure and the city may still have to make some traffic light timing changes to smooth out new traffic patterns. This should subside once people get used to it, but there’s got to be a more efficient way to route traffic through this area even with the park. Much earlier in this thread (maybe even the old site), I suggested they continue the closure of Live Oak up to the transit center, and probably even the off-ramp itself. It's purpose is really limited under the new alignment. Last we heard the city wanted the Live Oak ramp closed and was passing an agenda item in support of the plan but TXDOT randomly pushed city staff to neuter those plans to a mere theoritical vision and it was never explained why even though TXDOT was very supportative of the plan initially. The reason TXDOT suported it intially was it could actually reduce traffic above and below preventing backups of the worst kind. Yet at the last min TXDOT begged city staff to change the lanuage in the decalrtion voted on by city council to be nothing but a posted note suggestion. What we have here are two prioriies bumping heads. The old prioty of keeping cars racing through downtown as fludily as possible so that during rush hour people can get out of Downtown as fast as possible. Then the new priority of focusing on creating a sense of place for the CBD and creating public spaces that enocurage people to stay and live in the CBD not just work and run out of town as fast as possible. The city will and TXDOT will eventually solve it because the Park is the new pritotiy and is happening no mater what now. The funny thing is... there is literally NOTHING you have to do to replace the off ramp. The alternative (Good Latimer Exit) is already there, and has been for some time now. There are no reasons to have two exits server the same area. Users would simply have to get used to using the Left Exit instead of the existing Right Exit. Now that the little cut through has been removed for the park, the Left Exit actually serves the purpose much better as you have easier access to Pacific, and eventually EMC assuming Cesar Chavez ever gets finished. Thanks for posting, this is close to work and we can see it from our office. It will be great fun to see this park come to life and the possibility that a surge in development will follow. The old Southland Life building is what's a real eye sore. To me it looks like a giant shoebox in the sky. If there is a building in DTD that needs to be demolished I would pick this one. 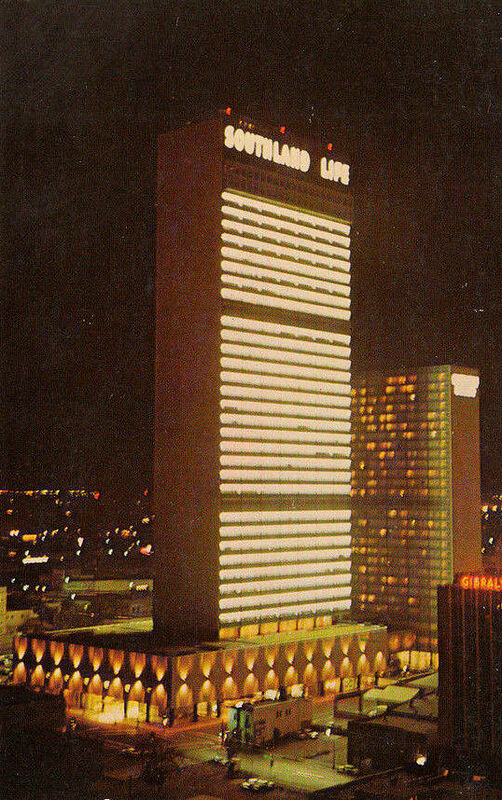 LuvBigD wrote: The old Southland Life building is what's a real eye sore. To me it looks like a giant shoebox in the sky. If there is a building in DTD that needs to be demolished I would pick this one. It doesn’t need to be demolished, it needs to be restored. The building doesn’t look like what it was originally intended and currents owners seem not to care. The added billboards to the smaller buildings makes it no better. I liked it better when it was its original color. I thought the panels were blue tile mosaic. Here they are but in a b&w photo. Does anyone know if they were removed, covered up or painted over? As for the park, I went by today and all of the asphalt is now gone. Good pic with the original italian tiles. If memory serves, the tiles are still there they just covered them up with a beautiful shade of grey. Tnexster wrote: If memory serves, the tiles are still there they just covered them up with a beautiful shade of grey. You're right that the tiles were painted, but I believe it's a layer of gray plaster/stucco. The lights at the base were also removed. The outside observation deck at the top is still there as well; just locked and unused. ^Good pic! I remember the lighting being a bit much, seems like it was just rows of fluorescent lights. However, if done today I would expect something like a LED display not unlike the Omni. ^^^^ I would love to see it look like that again. A midcentury modern building. That reason alone is why it should be preserved...just like Republic Center. Whats sad is the last renovation they removed the light fixtures on the ground skirting. Even if you didn't redo the horizontal lights on the tower the concrete skirt lighting should be fixed properly. They removed the fixtures and made patches in the concrete though so you can see ghosts of what was. 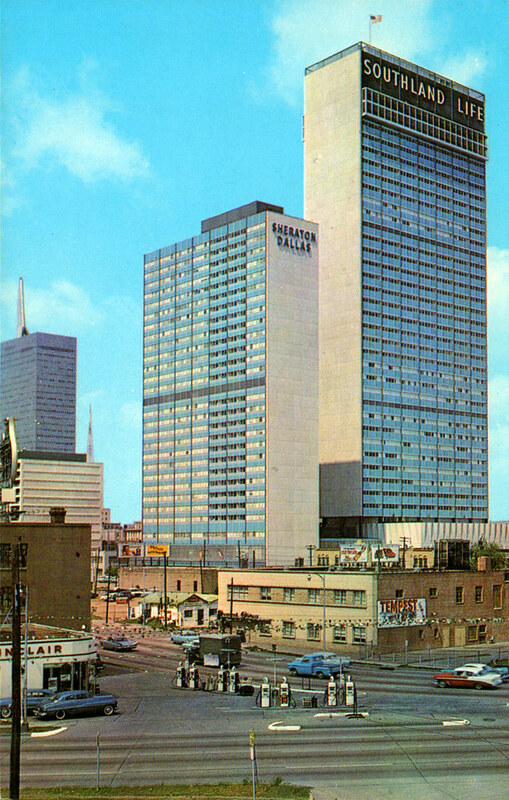 The key is the Sheraton is a huge complex and to do a restoration of the exterior in any way would require a huge amount of capital just spent on visual impact alone and that's a huge investment for most companies to swallow unless the property is just doing terrible and needs a brand improvement. Sheraton rents out to lots of large events as is. As for the park yeah they scrapped the asphalt away and now there are orange flags marking the entire lot. So just a quick addendum for those who care. The parking lot site: they have equipment on site and are moving dirt around but they have not removed Pacific street yet or done too much to the Aston park part either. They may be preparing to save the trees and move them to the main park site once the final resting place is prepared. I am not sure just complete guesswork on my part. Not sure I've seen this posted, but here's the construction timeline for the park. The playground should start coming together in September with the pavilion in October... not things I expected to see anytime soon. Not counting on this being the final design of the shade structure, but it's what they have on their website currently. I love the look of that structure, but it doesn't look like it would provide much shade. Two very small updates. Some of the fencings have a banner announcing the park with renderings. Nothing we haven't seen already either. Also in case anyone is wondering its still mainly just moving dirt around. They havent removed the small section of Pacific yet either. It seems like they are focusing on the main park section before they tear up what is now their staging area and parking lot. Stolen from a friend's FB post. You can start to see the pathway that'll border the playground/swing set, I think. lakewoodhobo wrote: Stolen from a friend's FB post. You can start to see the pathway that'll border the playground/swing set, I think. I don't know why, but this makes me extremely excited. I feel like this park is going to have a huge impact, and it's cool to see it taking shape. Btw it appears they are finally tearing up the concrete from the roadway and the old Aston Park. They made progress on the parking lot side with multiple concrete pours and lots of site leveling work. Here's a view of the lot during the 1960s.